U.S. President Donald Trump proposed an immigration deal on Saturday in a bid to end a 29-day partial government shutdown, including temporary protections for “Dreamers” and other immigrants, but Democrats immediately dismissed it. In a speech from the White House, Trump offered three years of protections for young undocumented immigrants known as “Dreamers,” as well as for holders of temporary protected status (TPS), another class of immigrants. Even before Trump spoke, House of Representatives Speaker Nancy Pelosi said his offer as reported in advance was “unacceptable,” did not “represent a good-faith effort to restore certainty to people’s lives,” and was unlikely to gain the votes needed to pass the House or the Senate. Vice President Mike Pence told reporters Trump’s proposal for the Dreamers and border humanitarian assistance was based on conversations with rank-and-file Democrats. 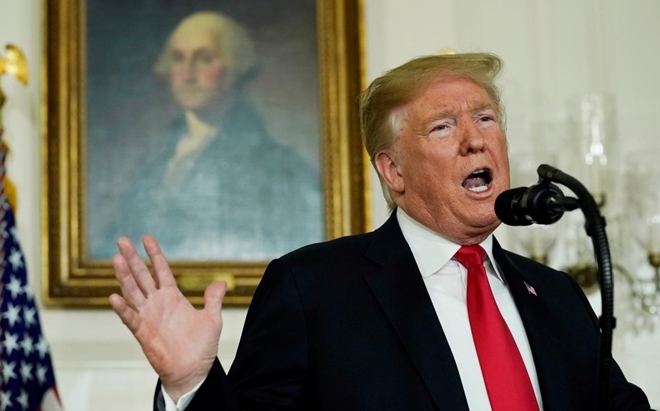 White House chief of staff Mick Mulvaney said declaring a national emergency on the border to fund a wall without congressional approval remained an option but was not Trump’s preferred solution.